Firefighters First Credit Union has served the needs of Los Angeles Firefighters since 1935. The credit union’s goal is to integrate their services directly into the needs of the firefighters and their families. Their member calendar does just that. 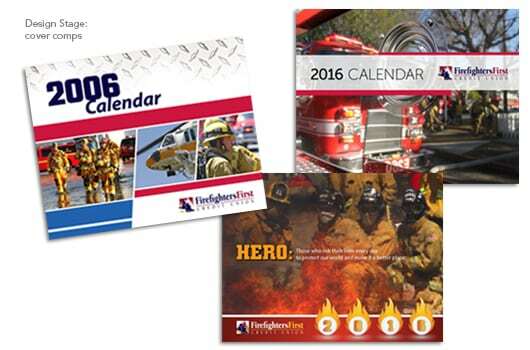 The shift schedules for each team are integrated into these calendars every year, which is important information for the firefighter community. Westamerica manages the entire process each year, which consists of more than 100,000 pieces, from creative through distribution. 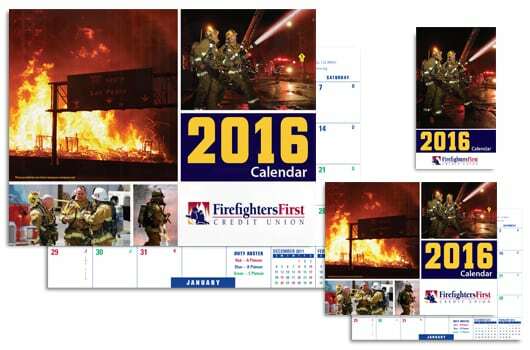 We produce six different calendars for the project, including station house wall calendars, desk calendars, pocket calendars, wallet calendars, refrigerator magnets, and electronic calendars.